Recycled plastics are materials which go under the process of recovering waste plastic and reprocessing the material into useful products. In some cases, these finished products tend to be different in form from their original state. 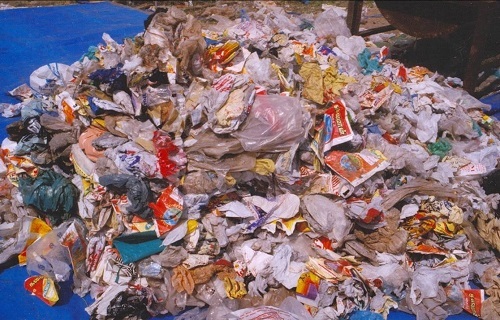 These plastics are also recycled during the production of plastic goods such as polyethylene bags and films. A part of these plastics is then bought into the main production operation. This trend has been practiced since the past few decades which have led to the production of certain plastic products amongst the most efficient operations. As per Persistence Market Research Pvt. Ltd., the global demand for plastic recycling has been rapidly growing over the past few years, where primary consumers of plastic packaging have started incorporating various recycled plastics in their products as part of the increasing focus towards recycling. Moreover, the industry for recycled plastics has been on the rise as prices for two of the major recycled plastics high density polyethylene (HDPE) and polyethylene terephthalate (PET) continue to hold significant value in the overall plastic industry. The global industry for plastics has developed new markets and applications for recycled resins from both post-consumer and post-industrial sources, with PET being one of the leading manufactured recycled plastics. Currently, the demand for recycled PET has been high and the market has been under supplied, with various manufacturers delaying expansion due to uncertainty of supply. In addition, the demand for these plastics has been highly prevalent with its growing application scope. Plastic containers are being used for recycled in various communities representing approximately multiple households. In developed economies such as the U.S., the demand for recycled plastics will continue to develop with the emergence of new market due to efficient segregation and reprocessing of high purity resins. Moreover, high prices for conventional plastics, environmental issues and improved quality of recycled plastics is also expected to contribute towards the growth of the market. In terms of application, packaging is anticipated to be the largest sector in the recycled plastics market. Consumers in North America are increasingly adapting the practice of collecting and separating discarded packages in order to make the product more disposable, and are also spending for a recycled item.